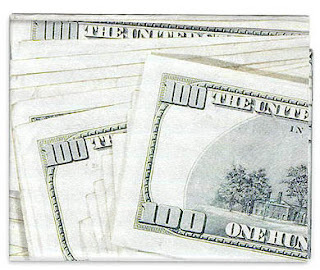 Flash your cash with the Hundred Dollar Bill Wallet. Stitching is always the first thing that rips in a wallet so it was designed without any parts or stitches. It is simply one single sheet of high tech tyvek folded to create this seamless design. There is a secret storage area you can use by pulling out the tucked in flaps from the ends, place your things inside and re close the flap back over to hide them. The tucked in flaps also allow the wallet to expand with use gradually providing you with more room as needed (from 5 up to 25 credit cards). The tyvek will wear in and get soft but will not break. All these amazing properties will give you a wallet that is lightweight, super strong, long-lasting, and thin. Made from 25% post-consumer recycled content, they are environmentally friendly and can be recycled. Also holds Euro currencies.